360 videos can immerse us in the lives of others, but it isn’t always easy to put someone in the shoes of others. Where will you put the camera? How much of the body will they be able to see? How will you stitch the head? How to shoot first person point-of-view 360 video is a question plaguing me right now as I prep for a shoot where the viewer must be attached to a physical body for the experience to work. That’s why I decided to write up a post based on my replies to those readers, my own research, and a few first person POV experiments I’ve seen from other immersive shooters. How are people in the industry handling first person POV 360 video today? What’s working? What’s not working? And how can we do this better? In the spring of 2016, there were rumors that Samsung was making a 360-degree camera in form of a necklace. But the AMe, or AroundMe, camera has yet to come to fruition. 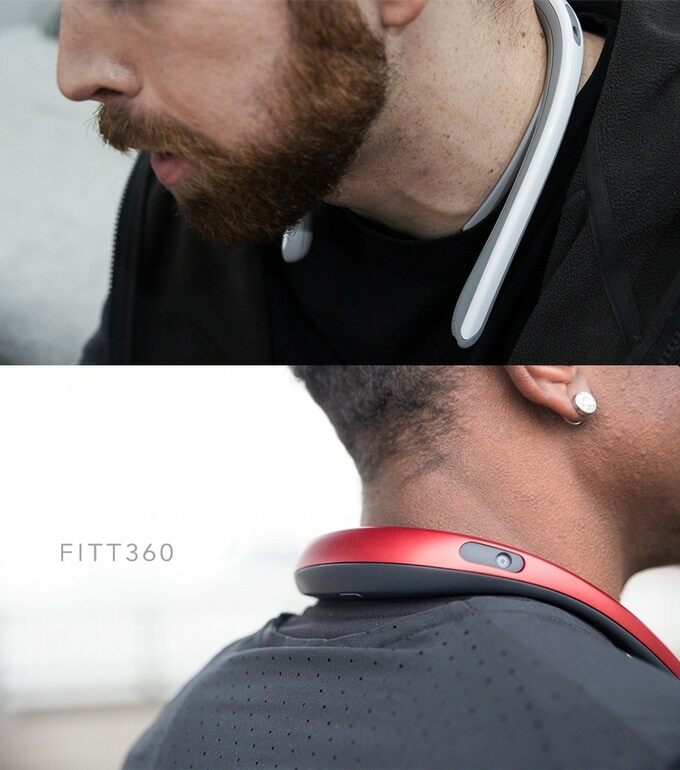 Lately, I’ve seen other companies pursuing similar concepts, including the OrbiPrime 360 video-recording sunglasses and the Fitt360 360 video-recording neckband (which just wrapped up its Kickstarter campaign, raising more than $300,000 from 900+ backers). 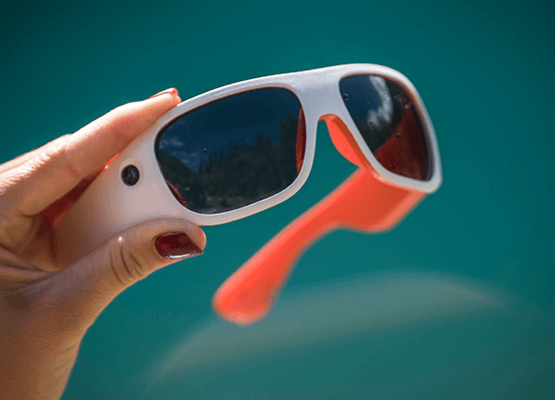 The OrbiPrime 360 camera sunglasses are available for preorder on the OrbiPrime website. Though the approach is slightly different, there are benefits to both neck-mounted and eyewear-style options. For example, a neck-mounted camera would be a bit more stable and the camera orientation wouldn’t change as much when the wearer turns his or her head. However, it’s also located about 6-8 inches too low for true first-person perspective. With both cameras, there’s also the issue of clothing or hair obstructing the camera’s view. But, honestly, that’s just where the issues begin. There’s also the issue of low video quality and less-than-ideal solutions for handling the nadirThe bottom of the sphere..
As you can see in the samples, both of these cameras cover the body with a black circle. Without the ability to see the body, what is the value of mounting a camera on a body versus a much more stable tripod (with a higher quality camera)? It seems wearable 360 cameras just aren’t “there” yet…To me, these two issues are deal-breakers for a pro production. Perhaps the most popular option to date is mounting 360 cameras on a helmet. But this solution often results in footage that’s noticeably too high for eye level. That could be limited, though, by choosing the right camera. For example, a shorter camera, like the Vuze for stereo 4K or the Garmin Virb360 for monoscopic 5.7K, would lead to much more realistic results than a taller camera like the Fusion or the Insta360 Pro. The benefit of this option is there are plenty of helmets with ¼-inch tripod mounts and the cameras used are versatile beyond first-person shots. The question here is how much of the body will we see with the clunky helmet immediately beneath the camera? 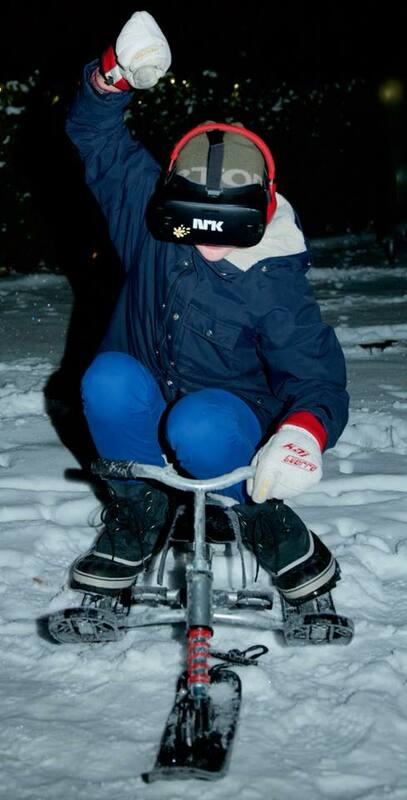 Mounting the camera forward a bit, rather than directly on top of the helmet, would help. But is it enough? Another experiment I’ve seen comes from DoP, editor and director Svend Even Hærra. 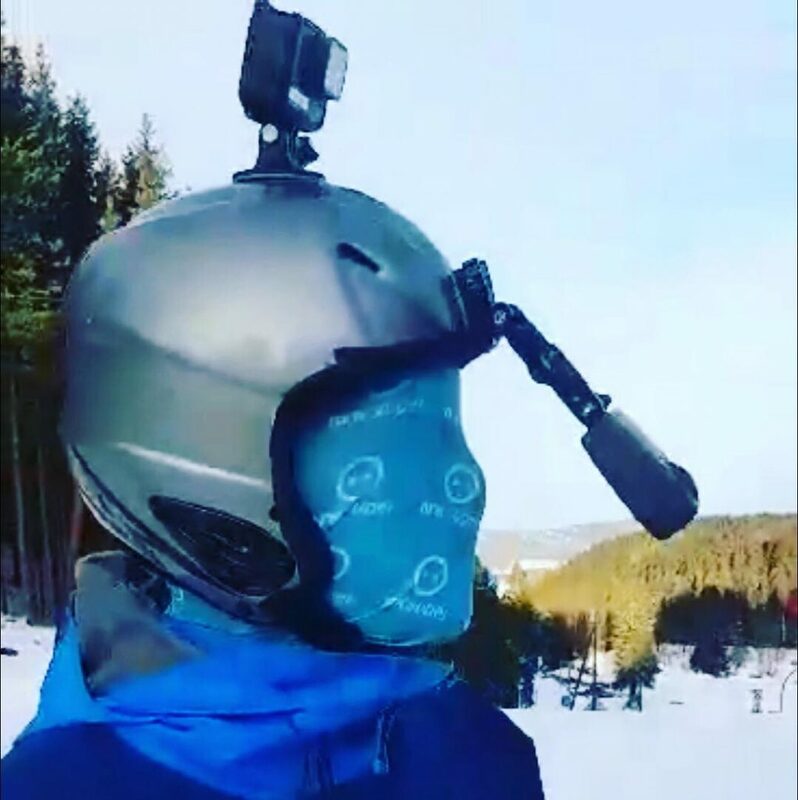 He mounted a 360 camera with a flat body (the GoPro Fusion) from a helmet in front of the face instead of on top of the helmet. Svend’s rationale behind placing the camera in front of the face, rather than on the helmet, was that this film was meant to be viewed in headset, like below, and the face wouldn’t be as distracting in that format. I’m curious to know what you guys think of the results. Does the person’s face distract you? Is it better or worse than footage where the perspective is too high? Perhaps the best option out there for high-end productions would be something like Radiant Images’ Mobius 2.0 POV system. The Mobius is an array of action cameras that surround the head of a performer/actor. 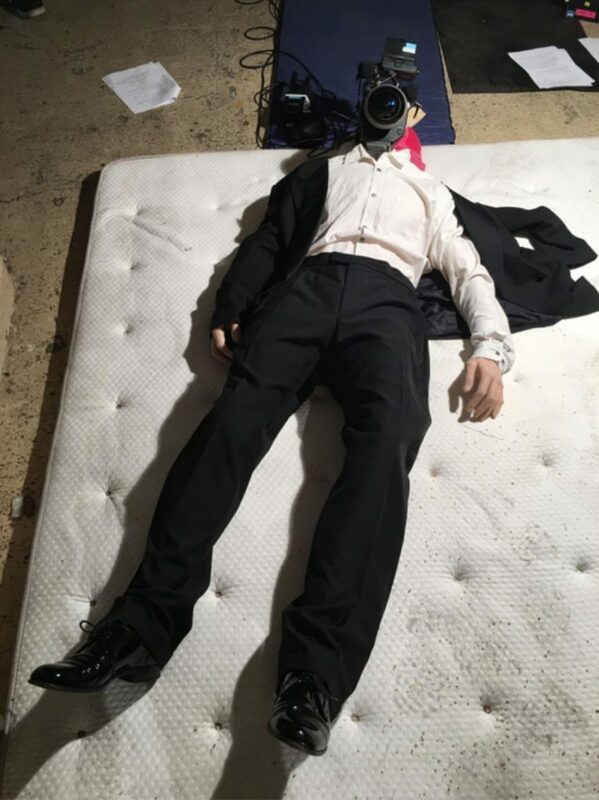 The footage can be stitched in such a way that the viewer can see the actor’s body while the head can be removed so no direction of view is obstructed. The issue here is that this high-end option isn’t economically feasible for most of us. Not to mention, I imagine the stitching to get footage as perfect as the sample footage would be very, very difficult. Some VR content creators, like Ali Zareiee, have solved the problem by building their own solutions. 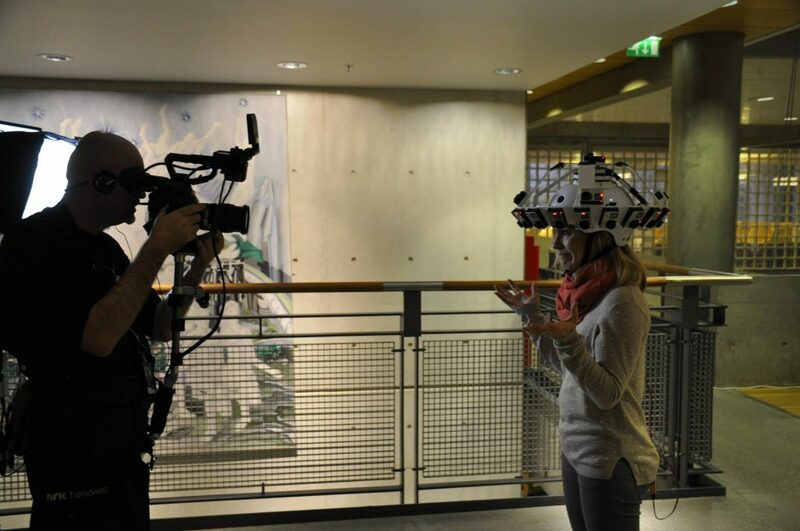 Ali’s been experimenting with custom POV rigs since 2013 and in 2015 built a 3-axis gyro-based solution with 600 updates per second so the wearer can turn their head at a normal speed without moving the cameras. But, Ali said, the custom solutions are quite expensive and out of most production companies’ budgets and aren’t available for rent (though he is designing a custom solution for an astronaut training program). He recommends Entapano extreme fisheyeAn extreme wide-angle lens, with image distortion occurring at the edges of the frame. lenses for first person POV filming rigs. So, what are we to do? 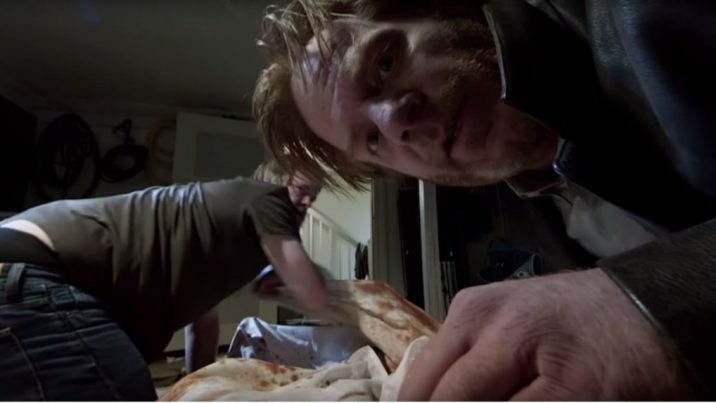 How are we to handle first person POV shooting? Who’s getting first person POV right in VR today?